As promised a couple of days ago in my previous blog post, I'm back again to share with you my thoughts on the current snow conditions. I was lucky enough to go skiing last Saturday (November 26th), with my friend and fellow ski instructor Dan, in Val Thorens. 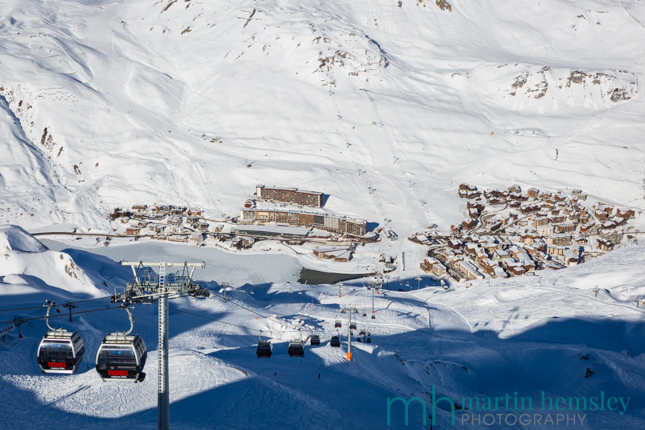 And yesterday (November 28th) I drove across to Tignes and skied around the Tignes area and above Val d'Isere. All of the photos in this post were taken by me on both days. The purpose of this post is to provide an open and honest report. So how are the snow conditions? First of all I think it's important to quickly mention what has happened with the weather the last few weeks. 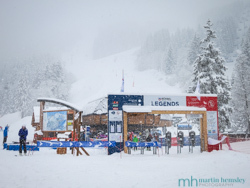 In early to mid November the French Alps received some magnificent pre season snow falls. A lot of snow fell, and down to low levels as well. You may have heard about this because social media went bonkers, and everyone was jolly up beat about the winter ahead. Quite rightly so. 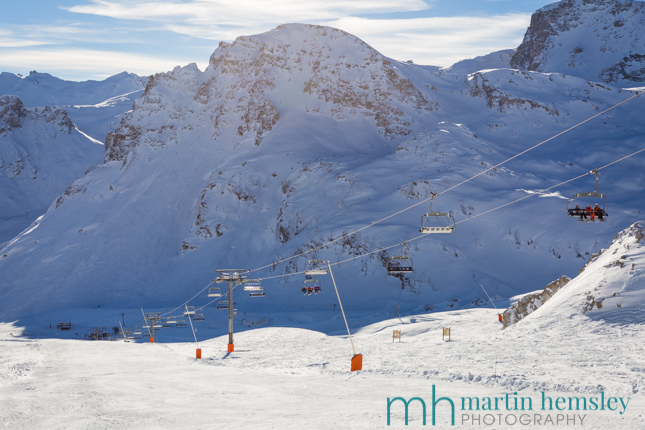 Many ski resorts opened some lifts really early, and it all looked as though it was amazing fun. But sadly this all changed last week. 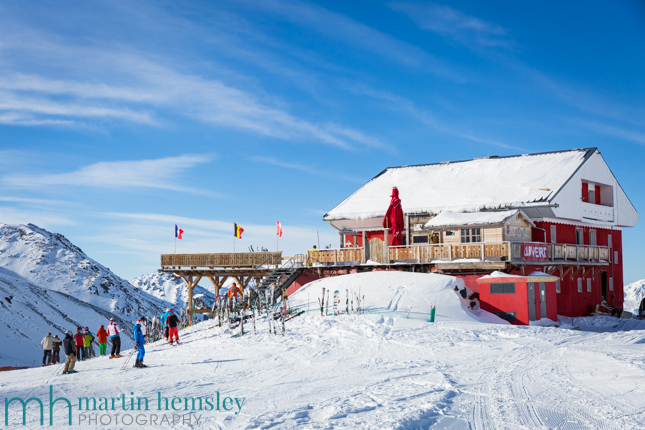 I arrived in Méribel from the UK on Monday last week, and it was mild, very mild. It was also very windy. There was this massive southerly storm that went on for quite a few days. High temperatures and winds really damage the snow pack. It's often been compared to pointing a hair dryer at snow. It stands no chance. Plus it rained a huge amount. Often we don't worry about that too much, because the rain/snow limit will be low enough to give the mountain a nice coating of fresh snow higher up. This was the other problem, this limit was rather high at first. However, gradually this limit dropped to between 2,000 and 2,200 metres depending on the location. Below this altitude it continued to rain a terrific amount, and there were very bad floods in Italy. However this meant that above this altitude level an awful lot of snow was falling. At the time we couldn't really tell how much because all of the webcams seemed to be either iced up or completely shrouded in cloud. When eventually the storm and clouds slowly cleared, we couldn't believe our eyes. 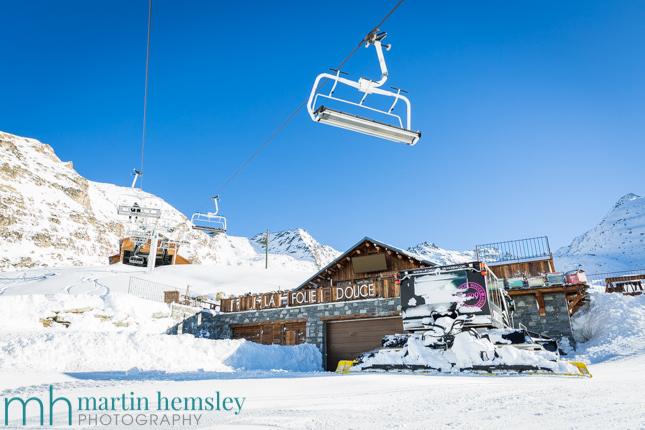 Last Saturday I went to Val Thorens (in the 3 Valley ski domain) where the town is situated at 2,300 metres, which is above the rain/snow limit of last week's storm. And boy oh boy the snow conditions were amazing. 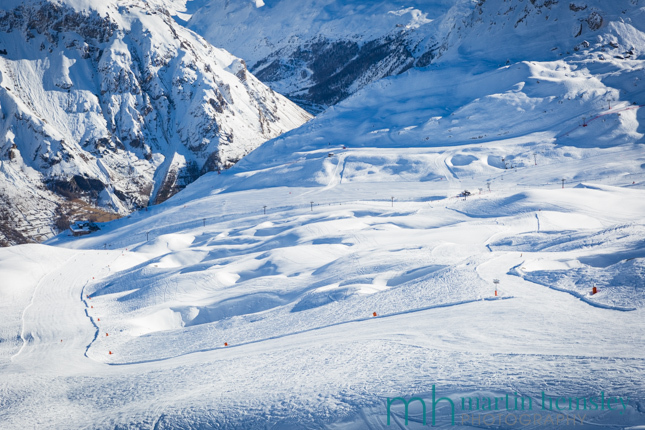 The pistes were in incredible condition, especially for this early in the winter. Normally I would avoid skiing on pistes that don't have snow cannon coverage. This wasn't an issue at all. In fact natural snow is much nicer to ski on, the pistes were very well covered and the snow felt soft, dry and grippy. 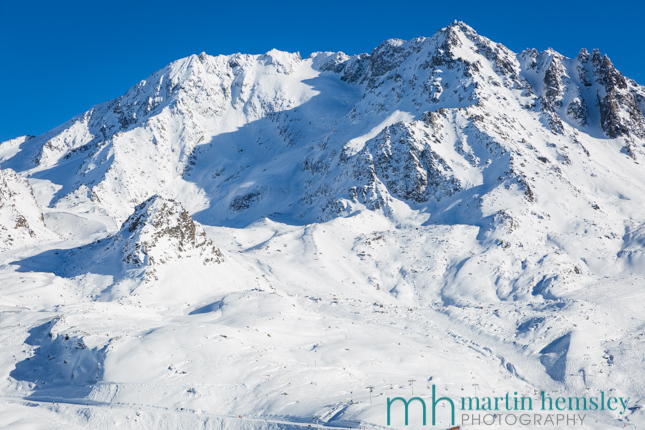 The other pistes (with snow cannon coverage) were also extremely well covered. When I came across the odd firm patch of artificial snow, it didn't bother me because this confirms that the resort is busy consolidating a great base for the rest of the winter. I didn't see any rocks at all on the piste. Then yesterday I went across to the Espace Killy ski domain to Tignes, where the village height of Tignes le Lac and Val Claret is at approximately 2,100 metres. As you can see here in the photo above, there is great natural snow coverage all the way down to resort level, and the lake is freezing over nicely. I was even more surpised at how good the snow was over there. And how empty the pistes were. Again, the snow felt fantastic under foot. There are certain pistes in the Bellevarde sector that don't have snow cannon coverage that I would normally avoid due to rocks. But yesterday this wasn't an issue at all, I didn't see a single rock on the piste which is very rare for this early in the winter. Being a typical ski instructor, I'm rather picky about which skis to use, but I've happily chosen my favourite and almost brand new pair of skis. It's such a pleasure. So what about below 2,100 metres? To be honest, there is little or no natural snow below I would say between 2,100 and 2,000 metres depending on the aspect. 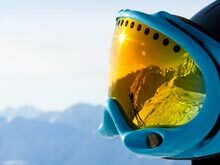 But I don't believe this to be a disaster because most decent ski resorts have invested in very good snow making systems, just like the Espace Killy and the 3 Valleys. In summary, snow conditions are very good indeed above 2,100 metres for this time of year. And this is the thing, let's not forget that we are still in November after all. 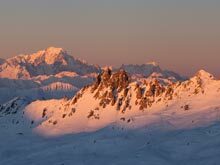 There doesn't appear to be any fresh snow forecast in the near future, but the really good news is that when the sun drops below the mountain it is well below freezing. 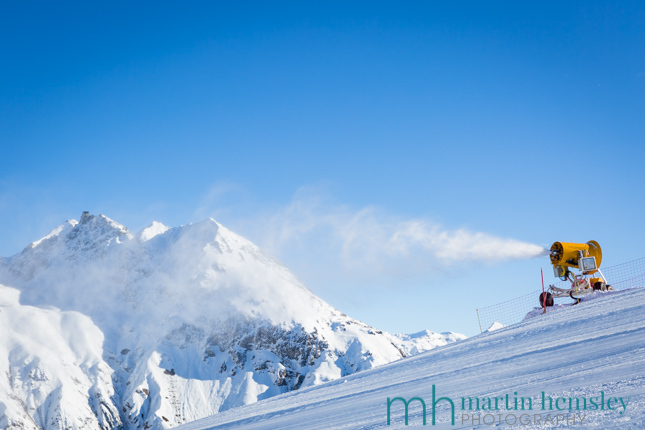 This means the snow cannons are being switched on. Both yesterday morning and this morning, I've woken up in Méribel to the sound of the cannons in action up on the mountain. 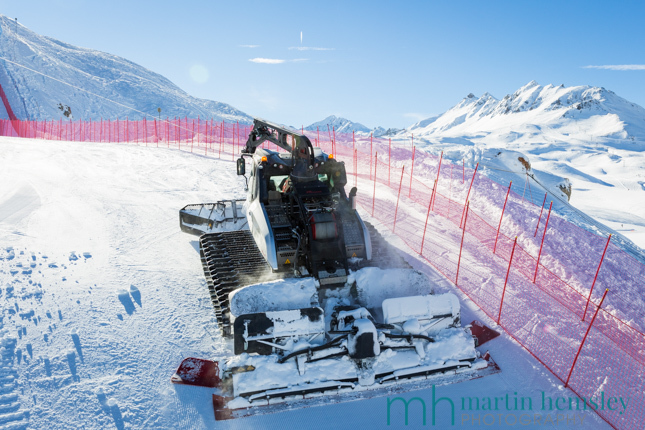 Val d'Isere is also about to host some FIS World Cup ski races, the photo above shows the 'OK' race piste being prepared. In fact a few races have been added to the calender from cancelled events recently over in North America. So keep your eyes peeled for TV coverage. I hope you've enjoyed this article and found it useful? If so please feel free to leave a comment below, or on various social media platforms including Facebook, Twitter and Google+. 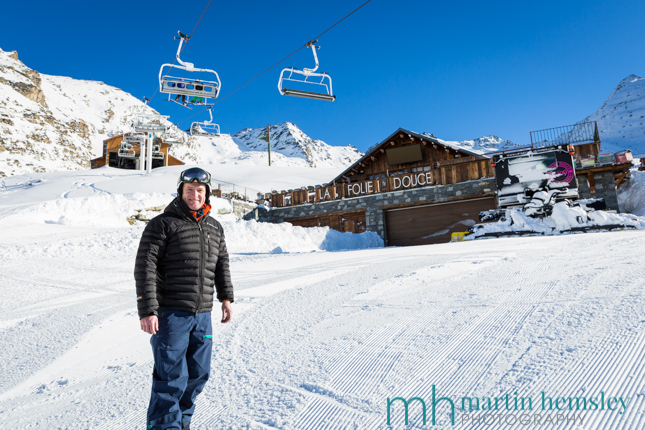 At the weekend I re-started my personal project on Facebook called 'Humans of Méribel, which also featured on this blog page just last week, click here for the link to this article. Have a great week everyone, do come back soon for more posts, and 'Live With Passion'. Martin.